EHRScope had the opportunity to sit and chat with Michael Sanderson, President of RemitDATA, while at MGMA’11 in Vegas. RemitDATA has been around for about 11 years and offers something quite unique to the healthcare industry. In a nutshell they are the leader in healthcare comparative analytics; they bring clarity and insight to the physicians. Our main focus was discussing the TITAN product. What is interesting is TITAN isn’t just another BI (Business Intelligence) tool. They have partnered with the largest Healthcare IT companies, clearinghouses and PM/EMR/EHR companies in the industry. These relationships allow for the flow and exchange of market data. This data is what brings enlightenment. 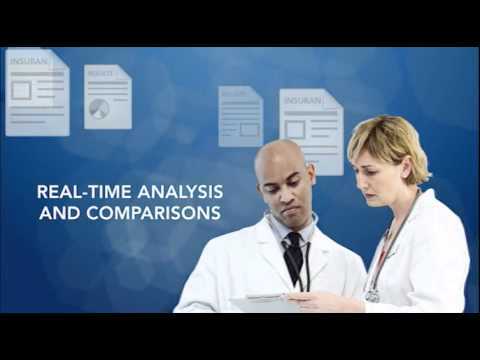 What I found so interesting is that TITAN brings transparency to the physicians, regardless of what system or platform a physician is using, they now have the ability to get an accurate measure or ranking against their peers. For example, Dr. Smith is a cardiologist in Tucson; he now has the ability to see how Aetna is treating him as opposed to other solo cardiologists in the state. Is he getting paid more/less, faster/slower, denied more or less? How is Dr. Smith’s staff ranking with others in the market? Is Dr. Smith using more of a certain code or coding outside of parameters and at an audit risk? TITAN has the ability to show Dr. Smith how he is doing on all of these levels. This information gives physicians more leverage with their payers, it allows for better negotiation. Also, if the office continues to be at the bottom quartile every month, they may want to consider outsourcing their billing. This information is like a score card for the physician so they know how healthy they are for their market, their coding and their specialty. TITAN have the ability to show the physicians how much money they are leaving on the table. It sure seems as if the tides are turning regarding physician payments. With ACOs in one direction, at least here comes a method for doctors to turn the tide.